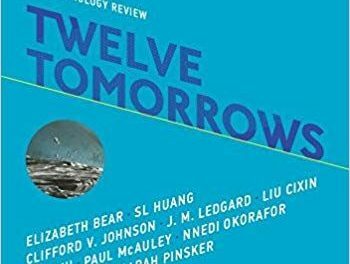 A collection of short stories from established and new voices in science fiction, Twelve Tomorrows presents relevant visions of our future with technology. Some are funny, the ridiculousness of our increasing dependency of technology played out to extremes. Others are nightmares, 1984 reimagined in high tech surveillance. But for every one which shows us the pitfalls of our reliance on technology, there is another which shows how the human spirit for improvement and adventure can produce amazing advancements for the whole of mankind. Short stories are growing in popularity which is a great thing because it gives us collections like this, introducing us to new writers we may not have heard of before and giving us a flavour of their work. Each story was detailed enough to fully immerse me in a world, advanced but recognisable as our own. As someone who can’t give an opinion on how well I slept until I’ve checked my Fitbit, Sarah Pinsker’s Escape From Caring Seasons struck a cord because men and women in a retirement village are electronically monitored and awarded points based on their health and activity. However, the stories were also short enough, hence the label short story, that I could enjoy a full story without interruption. Each story was also intense. So well crafted, each story left me awed, considering the fundamental truth contained inside it. Liu Cixin’s Fields of Gold is one of the most inspiring and devastating stories I have ever read. 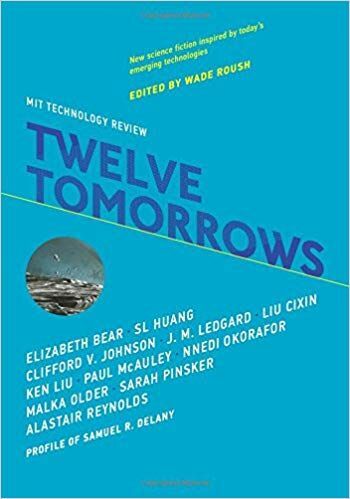 The best thing, or the scariest depending on how you look at it, is that each of these stories takes technology already available and in use, and extrapolates them to an extreme. To the introverts among us Elisabeth Bear’s Okay, Glory initially seems like a dream come true, an AI-controlled house that minimises the need for human interaction. But as hackers get cleverer with what they can hijack, a house that is completely automated can quickly become a frustrating nightmare. Maybe talking to real people face to face isn’t so bad after all. I was excited to read this book for the names I already knew but it left me keen to explore the new names I’d discovered. 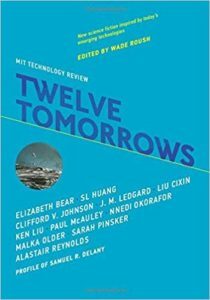 This is a must for any fan of science fiction, it is a fantastic collection of potential visions of our future.